Dr. Lee leads the Surgical Arrhythmia Program at Stanford, working closely with the Stanford Electrophysiology Section. He completed his cardiothoracic surgical training at Washington University in St. Louis under the tutelage of Dr. Ralph Damiano, where he learned advanced techniques for the surgical treatment of atrial fibrillation. Dr. Liem is a board certified cardiac electrophysiologist with a special interest in device-based therapy for arrhythmia and heart failure and in the overall treatment of complex arrhythmias. Dr. Gan Dunnington is a Board Certified cardiothoracic surgeon specializing in minimally invasive surgical atrial fibrillation treatment. Dr. James Longoria has performed the Closed Chest Mini Maze since October 2004. Dr. Paul Wang, a board-certified cardiac electrophysiologist and Director of the Stanford Arrhythmia Program, has pioneered several techniques in the treatment of atrial fibrillation, including catheter cryoablation. Dr. Wang has over 26 years of experience as an expert in the treatment of cardiac arrhythmias, including atrial fibrillation, atrial flutter, ventricular arrhythmias, supraventricular arrhythmias, and sudden cardiac death. Dr. Chang-Sing is a board certified cardiac electrophysiologist. His practice consists of consultative as well as procedural cardiology, with interests in congestive heart failure, arrhythmia management and coronary artery disease. Dr. Chang-Sing works with a cardiothoracic surgeon to perform the second stage of the revolutionary Hybrid Maze procedure. 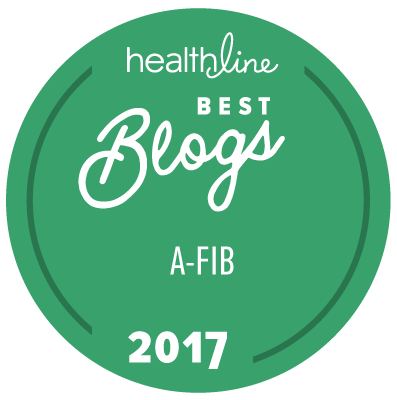 Dr. Narayan’s group and the Stanford Arrhythmia Center are at the forefront of many promising therapies for AF. The group developed the FIRM (Focal Impulse and Rotor Mapping) approach to treat AF. By identifying, isolating and eliminating the specific rotor and focal sources which sustain AF, the FIRM approach improves patient outcomes while reducing the amount of the atrium that is ablated. Dr. Narayan’s senior colleague at Stanford, Dr. Paul Wang, is co-inventor of cryoablation technology. Together, they co-direct the Stanford Arrhythmia Research Center. The St. Helena Arrhythmia Center, part of Adventist Heart Institute located at St. Helena Hospital Napa Valley, offers the most advanced options for treatment of persistent atrial fibrillation, including chronic atrial fibrillation. The St. Helena Arrhythmia Center is led by Board Certified Cardiothoracic Surgeon Dr. Gan Dunnington and staffed by an experienced, skilled team.